. 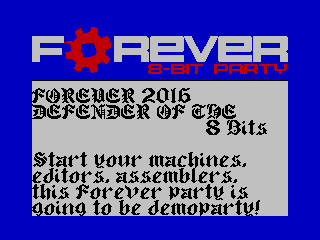 Forever 2016 invitation .
.  intro for  48KB + AY   .